Worm Compost, also called Vermicompost, is a highly effective and beneficial compost used by environmentally conscientious gardeners to improve the quality of the soil in their organic and natural gardens. Worm Compost is produced by earthworms who have big appetites and feed approximately their body weight in organic matter, thereby producing large quantities of worm manure every day. This worm manure, called vermicast, looks and feels like soil. It is high in nutrients and beneficial microorganisms that make it a perfect soil amendment to enhance soil fertility. It has an advantageous physical structure that enhances any garden's soil and has potent chemical and biological content. 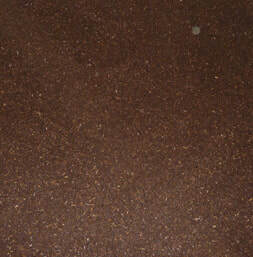 The use of worm compost is an alternative to the use of conventional fertilizers and pesticides. Counteracting the devastating environmental consequences of the widespread use of synthetic fertilizers and pesticides is another of its numerous benefits. It can also be used to fight pests naturally. Worm Compost also has a number of advantages over conventional composting. The composting process is much faster, releases fewer odors and greenhouse gas emissions, and is ideally used in urban gardens. Microbial activity is much greater in finished Vermicompost; maintaining many types of bacteria and fungi that contribute to soil health and fertility. Vermicompost can be mixed directly into the soil, or laid out on top of the soil. It can also be steeped in water to make worm tea. Improves soil aeration, enriches the soil with microorganisms, improves microbial activity, attracts deep-burrowing earthworms, and improves water holding capacity. Enhances germination, plant growth, and crop yield; improves root growth and structure; enriches soil with microorganisms, thereby adding plant hormones.